Iron) and demonstrate several gimmicks for them. last missions of the game while demonstrating several gimmicks for them. Paramedic, Pizza Delivery, Vigilante (Brown Thunder) Sub-missions are done. and PCJ Playground are done. Hotring Race (second place), and Bloodring (one minute) are done. in the garage at the Leaf Links apartment building. Tommy has never been Busted or had Hospital Visits. version of VC as well. Avery till after "Cop Land" and "The Job" to avoid the Havana Outfit glitch. remaining easy stunt creating whatever time you like. have as fast a time as the regular way, but you'll come in 1st. you can get hundreds of Tires Popped with Gunfire in your Stats in a minute. Klarnetist I worked on. I made the Hermes handle a bit better, too. 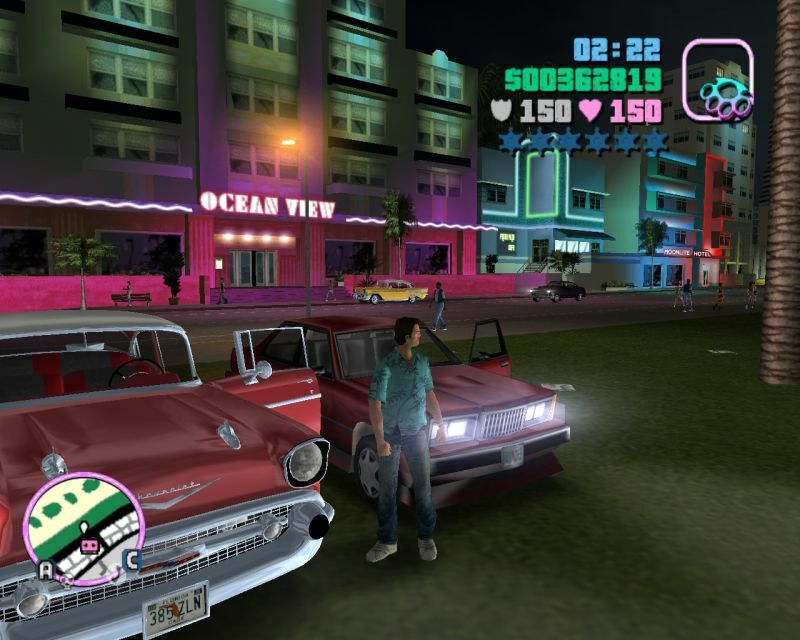 First install the latest CLEO appropriate for Vice City. These safe games are for the main story missions except the first one. and score at least 45 for Rifle Range. Hotring Race, one minute in Bloodring, and three of the Unique Stunt Jumps.